1. Pour a small amount of Leather Guard onto smooth cotton rag. 2. Apply uniformly over surface. 3. Spread and work into surface. 4. Use clean dry cotton towel to polish to soft luster. 5. 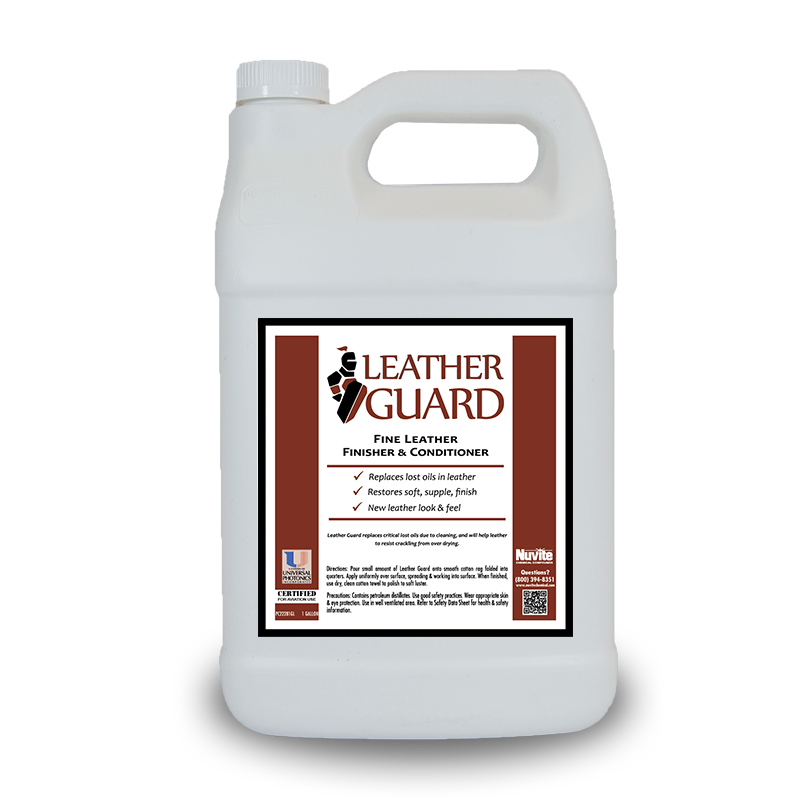 Damaged leather surfaces may benefit from additional application.